Elbow Pain can ruin your workout. When elbow pain gets in the way of your training like this, it can be hard to see the results that you want from your workout. To avoid elbow pain in my training, there are several handles that I use INSTEAD of doing them on the actual Pull-up Bar. This video shows you the handles I use to reduce elbow pain and make my Pull-ups virtually pain free. The Back Bull: I love this thing. It goes onto the bar easy and allows for both a near-overhand or near-underhand position, depending on which muscles you want to emphasize. Perfect Pull-ups: Unfortunately, I can no longer find Perfect Pull-ups for sale. However, there is a tool out there called Stamina Rotating Handles that look very similar. What’s nice about these is that they allow for a bit wider grip. Metolius Rock Rings: These tools are made for training the hands for the demands of climbing, but with the way they swivel while hanging from a bar, the make Pull-ups much more comfortable for the elbows. All of these handles are very effective at reducing the pain you feel when doing Pull-ups and Chin-ups. If your back training seems to be suffering due to elbow pain, then give one of these a try and see if they can be effective at reducing elbow pain from Pull-ups as much as they have been for me. Any questions on these tools, feel free to ask via the comments section below, email, or message. Elbow Pain is something that causes problems for any lifter. I got the following email today in my inbox just as I was starting the below post. This is a question I get on a routine basis, so I thought I would address it here for all of you. “Hello Jedd, my name is Alex. I am definitely a fan of your site. Since you’ve been injured before, maybe you could help me out. I sustained an injury while doing 600 lbs calve raises. I was diagnosed with patellofemoral syndrome by the physical therapist, and I had real sore knees for six months. Because it took so long to heal, I now have a fear of getting injured and I am always sore, even when I work out. I wonder, is that little twinge of pain in my wrist flexors indicative of a larger problem, or is it nothing? Anyway, this fear of injury is causing me a lot of problems with really going to my full potential. Even now, I’m starting to be afraid of training my forearms, which I never thought would happen before. I’m afraid my wrist tendons will snap clean off the bone. Hell yeah, I have advice for you. Do everything in your power to prevent these injuries BEFORE THEY HAPPEN, because even if that muscle never tears, and all you get is an injury to the connective tissues, that will be bad enough. My recommendation right away is to grab our book, Fixing Elbow Pain 2.0 RIGHT NOW while we have it on sale and start implementing the preventive strategies I cover TODAY. Diesels, I have suffered from High Forearm and Elbow Pain on more occasions than I care to count. The first time I got it, I was doing a lot of Steel Bending while I was also doing Odd Object Lifting like Atlas Stone Training. Both of these activities are completely safe if you watch the volume and have good technique. Unfortunately for me, I was NOT monitoring volume because I thought I was some kind of tough guy, and I was very new at Atlas Stone Lifting, so I was probably lacking a bit in the technique area too. What resulted from this lack of attention to volume and technique was some of the worst pain I’ve ever been in – a combined case of Tennis Elbow (lateral epicondylitis) and Golfer’s Elbow (Medial epicondylitis). Both of these conditions are bad enough alone, but I had a serious case of each of them and getting through a workout meant at least a half dozen ibuprofen – I was probably on way to developing an ulcer as well! Fortunately, these cases are preventible if you follow some really simple prevention methods, which I’d like to cover below. The muscles and connective tissues of the high forearm and elbow area need to be warmed up in order to function properly and to keep injuries away. In the video below I show what I do at the end of my full warm-up session in order to make sure my forearms are flushed with blood and the joints lubricated. If you are not stretching the forearm and hand muscles out at the end of your workout, then you are initiating a countdown to injury. Stretching helps to reduce the tension in the muscles, relaxing them, and allowing them to more fully recover. Skipping stretching is so 2001! It only takes 3 minutes to stretch out the forearms effectively, so I don’t want to hear any excuses. Any time I feel tension building in the area near the elbows and epicondyles, I schedule a 30-minute massage. To my surprise, sometimes she isn’t even concerned about the epicondyle area, but rather up the chain to the upper arm. You see, the tricep had gotten do tight, it was pulling on the lower forearm bones and causing issues for the entire elbow. Here is what I do in order to keep this pain from coming back, 3 times a week. For Alex, I would tell him to stretch his biceps. They could very well be tight and causing the same kinds of problems to his elbow, just on the other side. If you notice above, he said it is the flexor muscles that he is worried about. And along the lines of worrying – that’s got to stop right now! When you worry, you focus too much on the problem. Instead of worrying, pick up my program, Fixing Elbow Pain 2.0, follow my preventive strategies in the 2nd ebook, and you won’t have to worry anymore. On top of the three things I show above, I also have a handful of exercises I do every single week in order to keep the lateral portion of the high forearm/elbow strong and stimulated. Weakness in the area is also a contributor, so I make sure there is NO CHANCE for weakness in the area. DIESELS, I haven’t had a serious bout of epiconylitis in over 2 years since employing these regular prevention methods and I have done nothing since then but train harder and harder and harder. I am confident that if more people followed my lead, fewer people would suffer from annoying pain like this. The information is available for CHEAP, a fraction of the cost of actual physical therapy, that’s for sure, so I am not sure why more people don’t get our ebook. I talk all about these exercises in Fix My Elbow Pain (Special Price Right Now). Rick Kaselj and I worked together on this. He covered the REHAB portion, and I called the PRE-HAB and PREVENTIVE side. Believe me, you DON’T want this kind of pain. I will show you exactly how to keep it away. Just click the image below. Hello DIESELS. Last November, I did an interview with Rick Kaselj when I first heard about his program, Muscle Imbalances Revealed – Upper Body Edition, but I totally forgot about it until just now. Rick and I released Fixing Elbow Pain this week, so I thought I would re-post the interview here. Rick really knows his stuff about recovering from injuries without surgery, pills, and endless appointments, so check it out below. Today I have an interview with Rick Kaselj of ExercisesforInjuries.com. I had heard Rick was taking interviews this week in conjunction with the release of his product, Muscle Imbalances Revealed – Upper Body Edition this week. I immediately contacted Rick about an interview to go over Medial and Lateral Epicondylitis (Golfer’s and Tennis Elbow), how to prevent them, and how to heal from them. 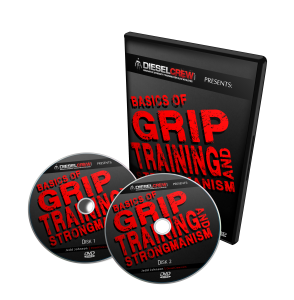 You would not believe the number of questions I get about how to deal with these conditions and many others for the forearm from both Grip and Strongman Trainees. Speaking from experience, I know how bad these conditions can be because I have suffered from them many times over the years. In fact, when i first started doing Strongman Training, my medial epicondyles were so inflamed that I could not make it through a workout without ibuprofen super-doses. Without further ado, please check out what Rick has to say about lower arm health. Jedd: Rick, your name has been tossed around by some of the biggest names in the business. Your products have really proven to be game changers for Personal Trainers, Therapists, and Strength Coaches by using an active approach to addressing injuries and correcting imbalances. 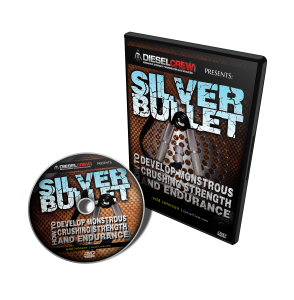 I think your methods are perfect for the Diesel Universe as well because we are always aiming to perform at a high level whether we are working toward world class grip strength, competing in strongman or powerlifting, or just trying to be as strong as possible. I truly feel your experience is going to help a lot of my readers, so thank you for taking the time to do this interview. Rick: Thanks for the kind words. I am glad what I have to say has been able to help so many people. Very cool to be asked to share a few things with the Diesel Universe. Not sure how the wife will like it if my son starts bending frying pans. Okay, Jedd, hit me with your questions. Jedd: Rick, a lot of the guys who come to my site engage in non-conventional training, especially odd object lifting such as atlas stones, natural stones, kegs, sandbags and more. One common result is inflammation of the elbow near the medial epicondyle. What is one thing my guys can do to prevent this from happening when time on the implements is so important to success? What is Medial Epicondylitis (ME)? If we look at medial epicondylitis, it is an issue with the wrist flexors (wrist curling) and some people call it “golfer’s elbow”. Epicondylitis begins as an inflammation of the tendons but can progress to the breakdown of the tendons. Big things that leads to ME is repeated flexion, pronation (from palm up to palm down), and valgus stress to the elbow (upper arm does not move and the forearm moves away from the body). Can you already think about the things that can be leading to this? Okay, enough of the science mumbo jumbo. I know you are thinking, what can I do about it. What can I do about Medial Epicondylitis? Look at What is Causing the Problem – In your workouts are you doing to much pulling movements or bending movements (bending a bar). Look at Your Movements – Are you using your wrist and forearms way to much when you should be using your back, legs and chest to do the movement or exercise. Are You Putting too Much Stress on the Inside of Your Elbow – Look at ripping apart movements. For example, breaking chains. Take a Break From the Problem – I would never say stop something but you might want to take a break from something. If you have been doing a ton of plate grip work or weighted rope pulls, maybe move over to un-weighted rope and sand bag challenges. Get Some Manual Therapy – There are all kinds of techniques out there, but getting manual therapy done has a lot research that supports it. Let’s get to the next question because I know you are going to ask me about exercises to do and stretching. Jedd: Rick, in years past, I’ve pushed too hard and developed what is referred to as tennis elbow. I get no fewer than 20 emails per year asking about how to get rid of this condition. In your experience, what is the best way to fend this condition off and if it is developed, how to get rid of it? What is Lateral Epicondylitis (LE)? Let me just step back and explain a few things. So, tennis elbow is called lateral epicondylitis and it was first talked about in 1882 (Wow) where they called it “lawn tennis elbow” and occurs about 10 times more frequently than ME. Just like medial epicondylitis, it can be caused by what you do for work or from sport. If we look at what movements causes it, we can see what unconventional strength training can lead to it. LE occurs when performing activities involving repeated supination and pronation (rotation of the hand from palm up to palm down and vise versa) with the elbow extended (straight). Now to what you can do about it. What Can You do About Lateral Epicondylitis (LE)? Some of this overlaps with ME. Look at What is Causing the Problem – In your workouts are you doing to much kettlebell swings, pinch grip work, keg lifting or dumbbell work. Watch Wide Grip Work – Grabbing things like a glob and a blob put the hand into a wide grip, that puts more stress on the outer part of the elbow. Look at Your Technique – This is an extension of above. Are you using your wrists and elbows too much when your legs, back and shoulder should be doing the bulk of the work. Tendon Strengthening Exercises – There is a lot of research backing up eccentric training for both ME and LE in order to help strengthen the tendons. You focus on the eccentric movement with a light weight (1 to 2 pounds / maybe more for the Diesel Universe) doing three sets of 15 repetitions, three times per day where you focus on the eccentric movement of wrist flexion (ME) or wrist extension (LE). It is not a hard exercise but it targets the problem. The negative is it could irritate things more which is normal. I would also recommend the taking a break from the problem, self massage and manual therapy, like I mentioned above. Rick: I’ve got to say this… So, you lift, bend, grip, pinch and throw crazy stuff but the thing that injured your finger was a 22 oz basketball. Okay. We got to start off with the wording. “Jammed finger” does not sound manly. You really need to say, PIP injury or proximal interphalangeal injury. Big thing with finger injuries, if they are not dealt with right after injury, it’s harder to fix them later on. Jedd: Rick, again, thanks for taking some time for us. This info is going to help a lot of people, myself included. How can we find out more about addressing issues such as these, as well as other issues some of my guys might need help with, such as banged up shoulders, tweaked biceps, and possibly pec injuries? I’ve got a very broad audience here and I know many of them have underlying issues they are training through and around on a weekly basis? Rick: Okay, I will get to answering your question, just give me one minute. I never answered the stretching thing for LE and ME. I would do it but it would not be my focus. I would focus on the self-massage, taking a break from things that make it worse, eccentric exercise program and getting manual therapy work. Some times with the stretching, you could be making things worse, compared to better. One more thing that I’ve got to say, if things do not get better or keep getting worse with your ME and LE, get it looked at by someone to rule out that it could be something else. Now to my last thing. Jedd, let me wrap up with a few reference that people can refer to if they want more information on what I chatted about above. Jedd: Thanks for the solid references, Rick, and the awesome information in the interview. Guys, if you would like to find out more information about preventing and recuperating from upper body imbalances, you’ve got to check out Rick’s Muscle Imbalances Revealed – Upper Body Edition. Give this thing a try, especially if you have lingering issues, have noticed things feeling differently in your upper body lifts, or if what you have been trying has not been working in your efforts to get rid of issues. Thanks again to Rick Kaselj! Many of the most common types of Forearm and Elbow Pain are preventable, but in the case that you do end up developing a Forearm or Elbow Injury such as Medial Epicondylitis (Golfer’s Elbow), Lateral Epicondylitis (Tennis Elbow), or any other type of injury to the soft tissue of the forearm near the elbow, like tendonitis or tendonosis, there are ways to get rid of the pain without having to spend hundreds of dollars on expensive therapy, take a bunch of pills with side effects or go under the knife for some kind of surgery. I shot the following video to tell you about a project I have been working on with Rick Kaselj, called Fixing Elbow Pain. 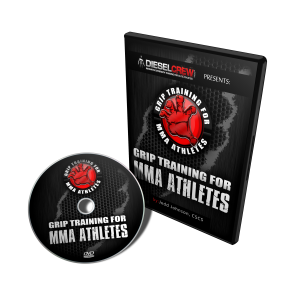 In this video I will tell you how the project came about, why I wanted to get Rick’s input regarding forearm and elbow injuries, and also I show you just one of the many things I have done over the years to get rid of injuries to the elbow and forearm and keep them from coming back with such training-effecting intensity over the last couple of years. I hope this little video helps you out. If you have had injuries like the ones I mention in the video, then you know how bad they hurt and how much they can affect your training. You also know how tough it can be to get rid of them. It is so much easier to prevent these injuries with simple exercises and other preventive strategies that add almost zero time to your training, that I hope you check this project out when it is ready to roll, next week. Many of the methods that I cover in my section serve double duty as ways to not only keep Tennis Elbow and Golfer’s Elbow types of injuries from taking place, but they can also help put you on the road to recovery as well. For instance, last month, I met Scott Mezzano at McHenry Community College and he told me about some issues his father was having. His dad plays a lot of guitar and the forearm pain he was experiencing was making it hard for him to do so. I know what it’s like to have a dad who lives with pain, so I wanted to share some techniques with him for his dad. I have had to deal with injuries like this many times over the years, almost always due to lack of guidance, my own rookie inexperience, and poor judgment. Since implementing preventive strategies, I have seen better results, continued strength progress, and I have been able to enjoy my training more. I know that these techniques will be able to help out a lot more individuals as well. If you want to make sure you get early notification of when this product is ready, make sure you are signed up for my newsletters, either in the upper right hand corner of this page, or by using the form below. When you sign up using the above form, you’ll receive the cool interview I did with AJ Roberts, World Record Holding Powerlifter and one of the strongest dudes in the world. Over the last few weeks, I have been continuing to look for ways to to rehab my left thumb. This has been going very well. The dime-sized lump that had accumulated from all of the tension has subsided quite a bit. In fact, I can barely feel it anymore when I do my self massage.